Boil ginger and onion in a moderate amount of water. Add Tilapia. Add cabbage and pechay when fish changes color. Add fish sauce until you get the desired taste. Simmer. Serve while hot. 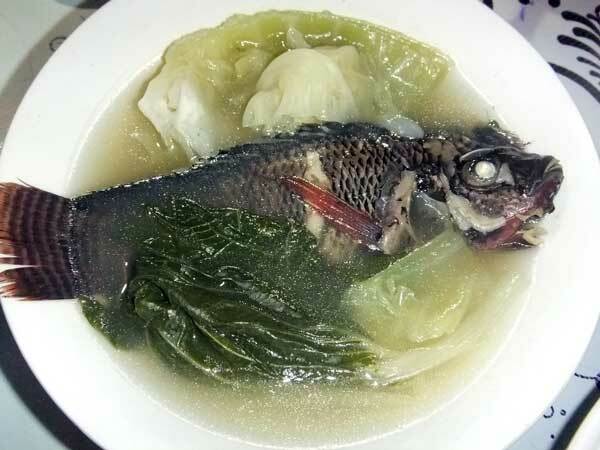 *Pesa is a fish soup dish with vegetables. This entry was posted in All Year Round Food and tagged Pesa, Pesang tilapia, St. Peter's Fish, Tilapia on May 30, 2011 by Yami. yum, yum, sarap naman ng dinner mo. looks yummy! kakamiss naman nito. i miss tilapia. this fish is rare here in Cebu.